7a*md8 consists of a series of multi-platform performance-for-the-camera screenings and digital residencies distributed across a range of Toronto cultural spaces as well as online platforms. The Toronto Performance Art Collective (TPAC) has a record of supporting a diversity of practices in the field of performance art. Expanding from our established festival format, we would like to create points of access for Toronto artists working at the intersection of performance and new media forms, as well as those who may find it difficult to travel to Toronto due to remoteness, disability, personal obligations, or political circumstance. 7a*md8 explores new ways for TPAC to address these concerns. Harnessing the potential of the proliferation of Internet platforms for disseminating performance videos, 7a*md8 offers a fresh approach to performance and new media curation, featuring three distinct events that examine contemporary developments in the relationship between body art, lens-based practices and the politics of access. Responses to the project by commissioned writers Jenn Snider (Meditation on Mediation as Medium) and Delilah Rosier (Residencies of Resistance; Or, Performatively Flexing for the ’Gram) are posted on our blog. View the archived compilation of the live stream. 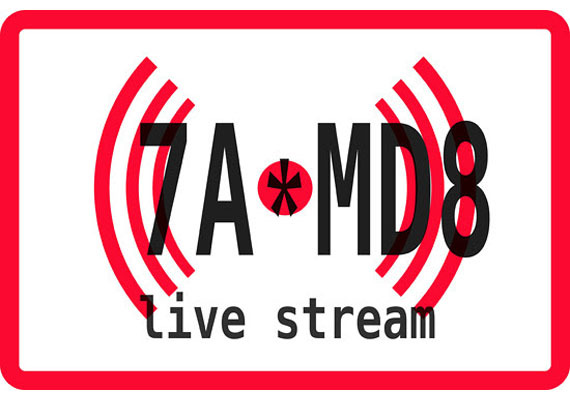 7a*md8 Live Stream is the third and final stage of our multi-platform exploration of performative practices in the digital age. Artists in 7a*md8 Live Stream examine contemporary developments in the relationship between body, lens-based practices and the politics of access. This includes an interest in exploring notions of being simultaneously near and far across a range of social relations, thinking about access and location not only as a barrier, but indeed as a political choice. For artists working in performance, video-broadcasting platforms like YouTube, Facebook, and Instagram Live provide an instant and accessible medium for documentation and dissemination. This allows, among other possibilities, for ongoing, cumulative performance practices that can record everyday situations at home and work spaces that have not always been accessible to a general public. Artists will present new performance works from a variety of locations across the globe live streamed at Trinity Square Video in Toronto on December 14, 2017. 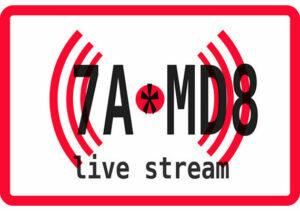 7a*md8 Live Stream artists include Maryse Arseneault, Ali Asgar, Ivanie Aubin-Malo, Jef Carnay, ee portal [Elyse & Emilio Portal], Maggie Flynn, Romi Kim, Russell Louder, Freya Björg Olafson, Luis Manuel Otero Alcántara, Camila Salcedo, Selma Selman, and Liz Solo. 7a*md8 On-Line features a series of social media residencies highlighting contemporary artists’ use of interactive online platforms to develop performance works that find new ways of connecting with audiences. For artists working in performance, video-capture platforms like Snapchat, Periscope, Vine and Instagram provide an instant and accessible medium for documentation and dissemination. This allows, among other possibilities, for ongoing, cumulative performance practices that can record everyday situations at home and work spaces that have not always been accessible to a general public. These projects will be hosted on 7a*11d’s website and social media platforms and featured at a public launch at Trinity Square Video in December. 7a*md8 On-Line artists include Natasha Bailey, Kiera Boult, Yolanda Duarte, Bishara Elmi, Nadège Grebmeier Forget, Jessica Karuhanga, sab meynert, Mohammad Rezaei jes sachse, and Syrus Marcus Ware. 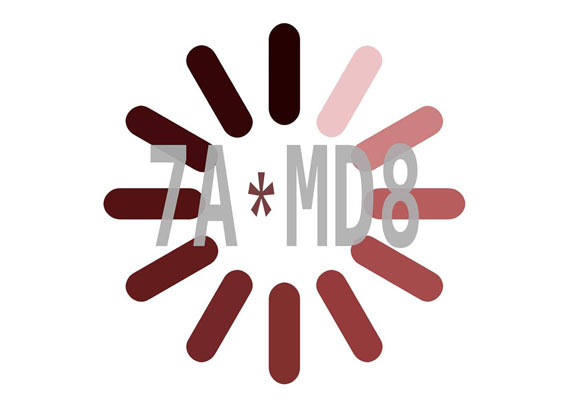 7a*md8 – On Screen is a collection of performances designed specifically for the camera by local, national and international artists. In the past few years we have seen how the camera has played a major role in bringing attention to narratives, events and bodies marginalized from the general public. Lens-based media and online platforms have created new possibilities for self representation. 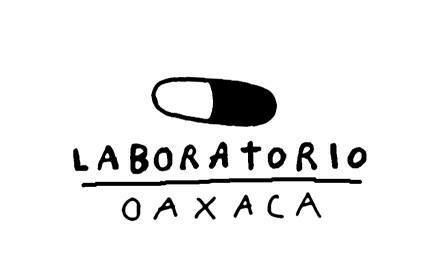 The artists selected for this series will speak to our relationship to media as a form of accessible communication in the face of unevenly permeable borders. 7a*md8 – On Screen artists include Lisa Birke, Erika DeFreitas, Johanna Householder & b. h. Yael, Merritt Johnson, Cressida Kocienski, Cheryl L’Hirondelle, Manolo Lugo, Julieta María, Zinnia Naqvi, Michèle Pearson Clarke, Lisa Steele, Tadasu Takamine, and Alize Zorlutuna. 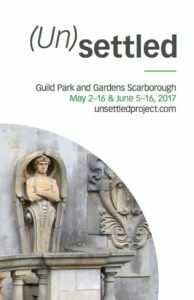 (Un)settled is a site-speciﬁc exhibition and residency that sets out to investigate and unsettle the history of the Guild Park and Gardens—formerly the Guild of all Arts—in Scarborough, which has grown from a collection of rural communities into a dense and culturally diverse urban sprawl on the eastern ﬂank of Toronto. Curated by Bojana Videkanic. A free bus service will be provided from downtown Toronto (Dundas St. W. south side in front of the AGO at the designated Motor Coach Loading Area) to the Guild Park and Gardens on Saturday June 10. To reserve a spot on the bus please e-mail bojana.videkanic@uwaterloo.ca. Please include your name, e-mail address and June 10th in the subject line. The spots on the bus are limited and are on a first-come-first-serve basis. Desire Lines is a visual art exhibition showcasing notable regional artists presenting artwork from a wide variety of disciplines and curated by Art Spin’s Layne Hinton & Rui Pimenta, organized by Art Spin in partnership with Waterfront Toronto. This exhibition responds to themes that deal with the highly nuanced dynamic of placemaking and what constitutes the concept of home, as well as exploring our complex and storied relationship to our waterfront. Desire Lines is curated in both a massive 8000 sqft. warehouse and retired condo presentation centre with many works responding to the unique features of the space itself. Look for a painted white warehouse. The exhibition is fully accessible. The space, which is just south of the Distillery District, can be accessed easily by bicycle from the Waterfront Trail, or by car via Queens Quay, there is a paid parking lot available on site. Opening night features a unique screening of a film program, 7a*md8 On-Screen, programmed by Golboo Amani and Fransisco-Fernando Granados, along with a musical performances by T.Dot BANGERZ Brass programmed by Art Spin’s partners at CDR and a dance-floor friendly set by DJ General Eclectic. 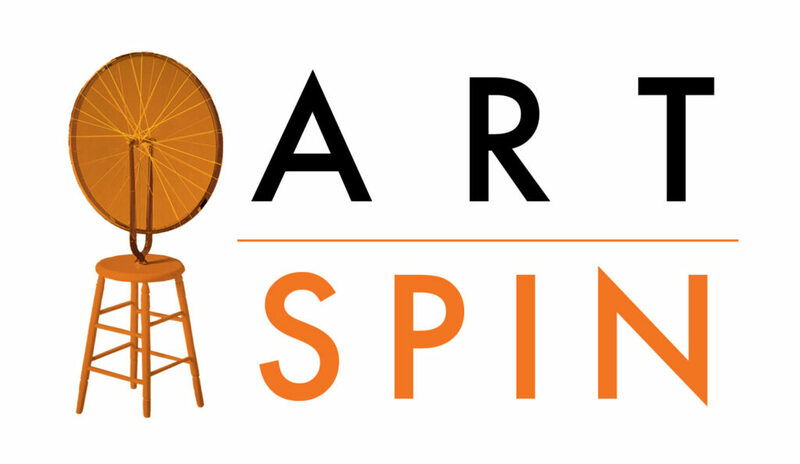 Join Art Spin curators Layne Hinton and Rui Pimenta to walk through the exhibition and discuss some of the curatorial themes. Artists joining us to talk about their work – to be announced. Meditation on Mediation as Medium by Jenn Snider considers some of the implications of the move to lens-based performance practices. Residencies of Resistance; Or, Performatively Flexing for the ’Gram by Delilah Rosier takes a closer look at the On Line social media residency projects. 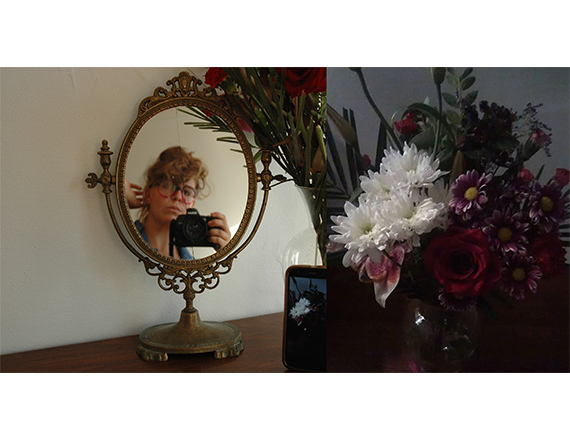 Jenn Snider is an arts administrator, curator, writer, facilitator/organizer, and multi-disciplinary artist. She holds an MA in New Media Art Histories from OCAD University where her research explored administration in artist-run culture as a practice of institutional critique. She is the Executive Director of the Toronto Animated Image Society (TAIS), and sits on the Board of FADO Performance Art Centre, MANO/RAMO, and IMAA. Info on Jenn’s arts-based practice is available at sympatheticnervous.com. Though many of the artists were already professional social media producers, they expressed anxieties around developing social media content as commissioned art works. These reservations reflect the barriers often experienced by marginalized voices when attempting to establish cultural legitimacy. Virtual space becomes the site of visibility for the many practices left out of the institutional framework. —GA (38). In terms of identity, I think it’s also important to think about how the broader politics of these platforms place marginalized identities into a double bind. What kind of agency do artists have as image-makers in relationship to the broader currents of power that shape the flow of information within the platform? […] Are there limits or caveats to the practices of self-fashioning that have been enabled? Is there room for moments of abstraction or refusal within bodily action?—FF (39).